To protect against the anticipated bias that the Electors would have in favor of only choosing men from their own state, the Constitution specified that one at least shall not be an inhabitant of the same state with themselves. This restriction would force each Elector to look outside of his own state for at least one nominee. Requiring each Elector to vote for at least one individual from a state other than his own, also prevented any particular state from dominating the process. There was no requirement that all votes from a state go to the same individuals; that would be inconsistent with the concept of nomination. 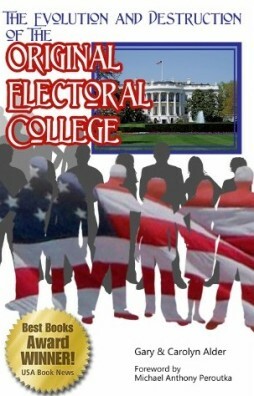 Even though each Elector was required to nominate at least one individual from a state other than his own, the expectation was that the Electors of a state would not know or care how the Electors of another state were voting. In this way, the “will” of their state in this matter was also preserved. Each state was to make a list of all the persons voted for, and of the number of votes for each which list they shall sign and certify, and transmit sealed to the Seat of the Government of the United States, directed to the President of the Senate for the candidate selection process (Phase 2) followed by the voting process (Phase 3). The Electors’ job (Phase 1) was over.